Locate residents, organizations, and businesses in Toledo, OH, city directories from 1864 to 1923. City directories provide consistent and timely snapshots of a community. They list residents and businesses within a city or town, often including suburbs. 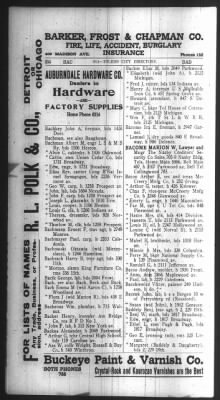 The alphabetical listings provide clues to researchers about employment, residence, and age of citizens. Because they are published frequently, more often than every ten years like the census, directories help us verify residences and businesses on a chronological scale.